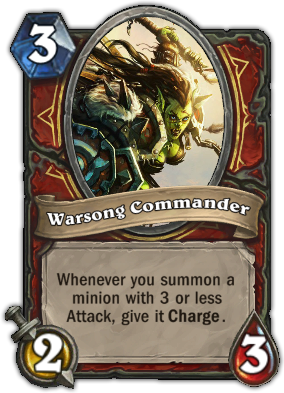 Description : Whenever you summon a minion with 3 or less Attack, give it Charge. Quote : The Warsong clan is such drama. It's really not worth it to become a commander.